Everything after these lines will not be executed when logging in with an non-interactive shell like in our case, via ssh. Now we can start the DAS on machine1 and begin configuring our instances. After that we can create the cluster and add two instances to it: one remote instance on node node1 and a local instance on the local node. This local node, with name localhost-domain1, is automatically available when installing glassfish. When deploying, you specify our cluster1 as the target. This will deploy the application into every instance that was added to the cluster. When deployment was successful, you should be able to browse to the application using the following URL: http://machine2:28080/simple. It should also be running on the second instance at the following URL: http://machine1:28081/simple. Once the module is installed, create a file called jk.conf in the mods-available directory in your apache configuration directory (mine is located in /etc/apache2/mods-available) and link it into the mods-enabled directory. Restart the cluster and we should be able to connect to our application through Apache at the following URL: http://machine1/simple. You can see that it was quite easy to set up a clustered Glassfish with Apache running as the load balancer. You might want to watch the following video about the new features in Glassfish 3.1. It might give you a bit more insight in the way that clustering and load balancing works. It will also show you that you can configure everything by using the admin website (running at port 4848) instead of using the asadmin command as I did in this blog. 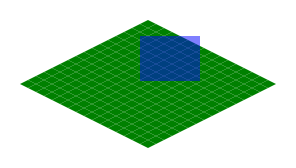 I'm currently working on a strategy game in JavaFX and decided to use isometric projection for rendering the graphics. During development I encountered some performance issues specific to JavaFX 1.2. It was expensive to add many nodes in a single Group and it was furthermore expensive to add/remove a lot of nodes from a Group. The first issue was resolved by having more levels of Groups. Instead of 1 Group containing all the nodes, I added several layers of Groups. Each Group in the bottom layer would then only hold a small portion of all the nodes. Resolving the second issue was done by using a quadtree to quickly decide which nodes should be added and which nodes should be removed from the scene graph. This way I only had to add/remove a small portion from the scene graph during the render pass. Of course, a few weeks ago, Oracle released JavaFX 1.3, which magically solved all these problems by itself. Rendering many nodes in one Group no longer was a problem. However, having the quadtree structure still has a major advantage. You only need to render the nodes that are actually visible on the screen. This should eat a lot less memory then when you would render all the nodes in your world. So, I'm still going to show you how I've done the quadtree implementation. 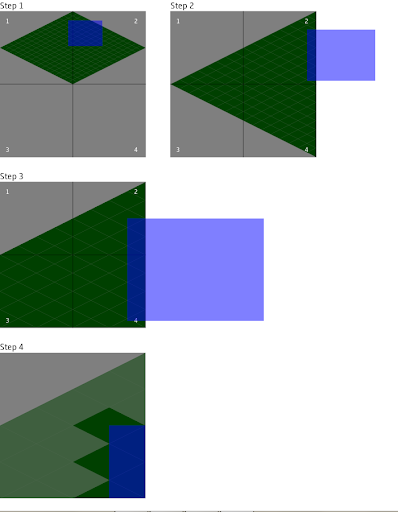 Before going over to using quadtrees, I will first show you the easy way: rendering all tiles in a brute force manner. My game world consists of a series of tiles laid out in a two-dimensional grid. Each tile has an X and a Y position to store it's position within that grid. Rendering brute force means that we will render all the tiles in the game world, even when they are not visible on screen. The BruteForceRenderer is a CustomNode that contains one Group in which all the tiles are rendered. The tilesWidth parameter defines how wide our grid must be. A value of 8 for instance means that we will have a grid that contains 64 tiles in total. The tiles themselves are made up of a Polygon with a green color. They are added one by one into tilesGroup. 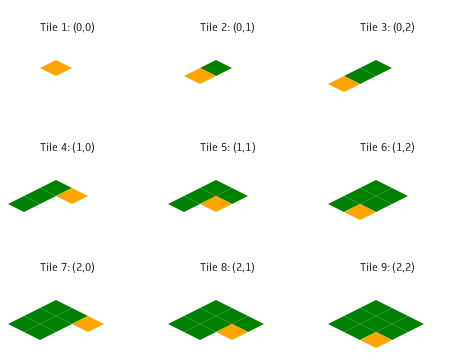 The order in which the tiles are layed out is from top to bottom and from right to left. The following image, which is a render of 9 tiles, probably clarifies this a bit. The numbers between the brackets are the x and y coordinate of the tile that is being rendered. The main advantage for using the brute force approach is that the code remains very simple to understand. The disadvantage will become clear when you start raising the tilesWidth parameter. Even though they've made lots of performance improvements in JavaFX 1.3, it's still becoming a bit sluggish for instance when implementing mousedragging to move around the world. With brute force rendering, we keep track of all tiles whether they are visible on screen or not. However, we should only render a tile when it is actually visible on the screen. On the next image we can see the tiles in green and our screen in blue. This clearly shows how brute force rendering is done: all tiles are visible, even those that do not fall within the blue rectangle. To solve this, before rendering a tile, we could check to see if it's bounds fall within the screen view or not. The easiest way to do this is to check all the tiles one by one. However, a more elegant solution is to use a quadtree. A quadtree allows us to quickly discover which nodes are actually visible on screen without having to check every possible node. We keep dividing until we reach a specific depth. When this depth is reached, we will just individually check all tiles that are still available and render those that fall within the screen. Again, I'll use an image to make this more clear. Step 1 divides the world into 4 squares. We check the bounds of square 1 and see that it intersects with the screen bounds (again the blue rectangle). In step 2 we divide this square again into 4 squares and check the bounds of square 1. We see that it doesn't intersect with the screen, so we check square 2. This time we have an intersection. So again, in step 3, we will divide this square number 2 into 4 equally sized squares and repeat our intersection checks. We can clearly see that square number 1 doesn't intersect, but square number 2 does. At this moment we have reached our maximum depth of 3. So instead of dividing this last square into 4 smaller squares, we will go over the nodes that are contained in this square and perform the bounds check on each of these nodes. If a node intersects it will be added to the scene graph, otherwise it will be skipped. This is shown in step 4. Below is a sample of this application rendering a world containing 256 by 256 tiles. 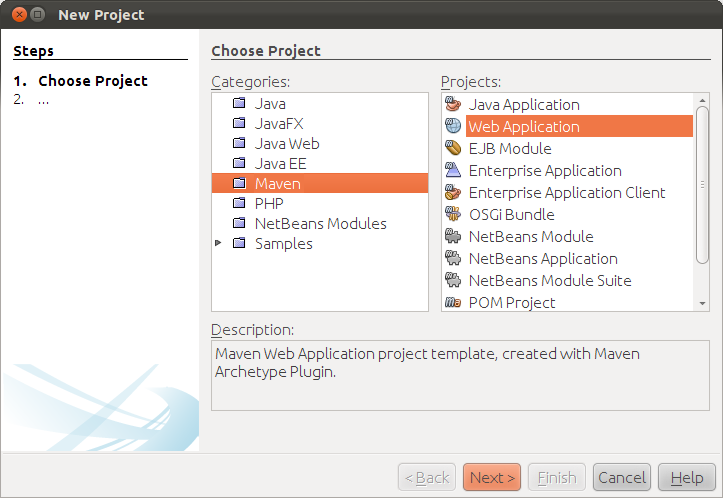 You can also download the code as a NetBeans project. You might expect that this would work just fine and that the program would display an animation of a drilling well. Since we are assigning the sequence drillingWell to Animation.images, this would call the on replace trigger. Which it does. However, during object instantiation the timeline variable is still null. This means that calling timeline.play() won't have any effect because JavaFX quietly ignores null references. Throwing a NullPointerException here would have saved me quite some time and work ;-). The Foo class must be annotated with @XmlRootElement, otherwise Jersey won't know how to marshall the object into XML or JSON. Recently I discovered that you can also use Jersey when developing client applications that make use of a REST API. The Jersey Client API, as it is called, can be used to easily produce and consume REST requests and responses. The code below shows a quick overview of how to call the methods listed above. As you can see, the methods on the WebResource class map perfectly with the HTTP methods generally used in a REST API: GET, POST, PUT and DELETE. 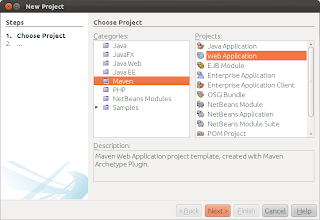 You can download the sample project, jerseymarshall.zip, which contains two NetBeans projects: a web project for the server side and a plain java project for the client side. Having two weeks off during the Christmas holidays gives you some time to create something in JavaFX. I had already used JavaFX before, but animations were a part I didn't yet have any experience in. So I was thinking of remaking a simple banner application that a client once needed for his website. That version was written in Flash and was created by a third party. You can have a look at that animation at http://vi.be. The application is quite simple. It reads in an XML-file which contains a list of banners. Each banner has an image, a title, a description and a URL. After the XML-file has been read, it displays the banners one after another. The transition between two different banners is done by using a simple fading out/fading in animation. Doing this animation in JavaFX is simple. First I create a variable to hold the current opacity and bind this to the opacity of the banner. The SingleBanner class used below is nothing more than a CustomNode in which the image, the title and the description are placed. The syntax is easy to understand and you can clearly see what the Timeline does. 4.75 second after the Timeline was started, it will assign 1.0 to the variable bannerOpacity. Between 4.75 and 4.85 seconds the opacity will be brought down to zero using an EaseOut interpolation. Finally, the opacity will be brought back up to 1.0 with an EaseIn interpolation. The trick is now to make the current banner invisble when the opacity reaches 0. At the same time, the next banner in the array will be made visible. We can do that easily using a replace trigger. In browser mode the loading of the images takes a long time. In desktop mode it seems to go a lot quicker. Below you can have a look at the banner application itself.